Have you been invited to a winter wedding and have no clue what to wear? Luckily for you, Girl Meets Dress has composed a list, dresses to hire – for all your winter dress needs, for a winter wedding guest. Hire Stella McCartney’s orange waistband dress says party at the back, business at the front. The LBD style has the brand’s floral motif print on the back as a surprise. The orange-toned waistband accentuates a feminine silhouette, perfect as a dress to hire for day or night. Self-Portrait dresses have a way of creating the perfect party dresses – This lace black and white mini dress to hire is a pretty floral sleeveless option. 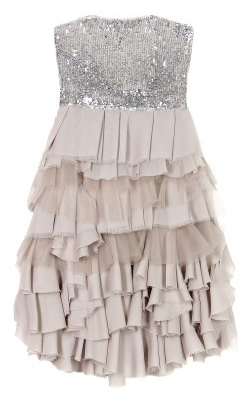 Hire this dress for a day or evening party. Tights or bare legs. 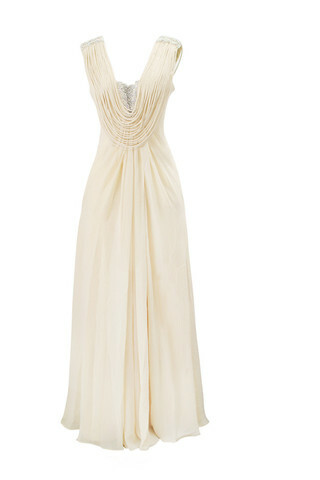 Amazing ankle length dress to hire by VIRGOS LOUNGE. Long sleeves and beaded – this is a stunning dress hire which will draw compliments all evening. The perfect length for comfortable dancing. The rich colour of this red lace dress from Burberry Prorsum is a fantastic head turner at any event. The soft pleats and delicate lacework are really feminine, complemented by the sheer décolleté and sleeves. Wear this cocktail dress with minimal accessories. With long billowing sleeves and knee length dress, this Sabitiri navy dress by British brand BEULAH is the perfect cocktail dress for any smart, summer occasion. The beautiful silk and cut makes this wedding guest dress original, flattering and feminine in a versatile way that can be worn from day to evening. Kate Middleton Duchess of Cambridge chose to wear this Sabitiri navy dress in Powder Blue and is a fan of the Beulah brand. Tags: GMD Daily. ball gown hire, beulah, burberry, Cocktail dress hire, dresses with sleeves, hire beulah, Hire Beulah Dress, hire Burberry dresses, hire designer dresses uk, hire self portrait, hire self portrait dresses, hire stella mccartney, Hire STELLA MCCARTNEY dresses, Hire Virgos Lounge, Hire Virgos Lounge Dresses, london dress hire, rent beulah, Rent Beulah Dress, rent burberry dresses, rent self portrait, rent self portrait dresses, rent stella mccartney, rent STELLA MCCARTNEY dresses, Rent Virgos Lounge Dresses, Self Portrait, self portrait dresses, Stella McCartney, Virgos Lounge, Virgos Lounge dresses, Wedding dress hire, wedding guest dress, What to wear as a guest for a winter wedding?, What to wear as a wedding guest?, What to wear for a winter wedding?, What to wear to a winter wedding?, Winter wedding guest style.